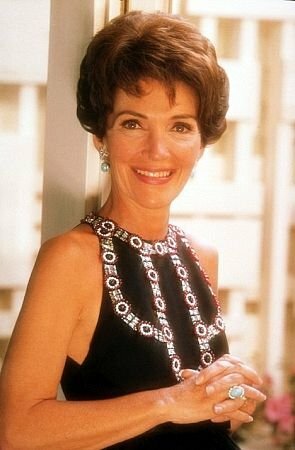 Nancy Davis Reagan (born Anne Frances Robbins; July 6, 1921 – March 6, 2016) was an American actress and the wife of the 40th President of the United States, Ronald Reagan. She was the First Lady of the United States during her husband’s 2 presidential terms from 1981-1985 and 1985-1989. Nancy Reagan was born in New York City. After her parents separated, she grew up in Maryland, living with an aunt and uncle for some years. As Nancy Davis, she was a Hollywood actress in the 1940s and 1950s, starring in films such as The Next Voice You Hear…, Night Into Morning, and Donovan’s Brain. In 1952, she married Ronald Reagan who was then president of the Screen Actors Guild. They had two children together. Reagan was the First Lady of California when her husband was Governor from 1967 to 1975 and she began to work with the Foster Grandparents Program. Nancy Reagan became First Lady of the United States in January 1981, following her husband’s victory in the 1980 presidential election. She was criticized early in his first term largely due to her decision to replace the White House china, despite its being paid for by private donations. She aimed to restore a touch of Kennedy-esque glamour to the White House following years of relative informality, and her interest in high-end fashion garnered much attention as well as criticism. She championed recreational drug prevention causes by founding the “Just Say No” drug awareness campaign, which was considered her major initiative as First Lady. More controversy ensued when it was revealed in 1988 that she had consulted an astrologer to assist in planning the president’s schedule after the attempted assassination of her husband in 1981. She had a strong influence on her husband and played a role in a few of his personnel and diplomatic decisions. The Reagans retired to their home in Bel Air, Los Angeles, California, in 1989. Nancy devoted most of her time to caring for her husband, diagnosed with Alzheimer’s disease in 1994, until his death at the age of 93 in 2004. Nancy remained active within the Reagan Library and in politics, particularly in support of embryonic stem cell research. Nancy Reagan died on March 6, 2016, from congestive heart failure at her home in Bel-Air. 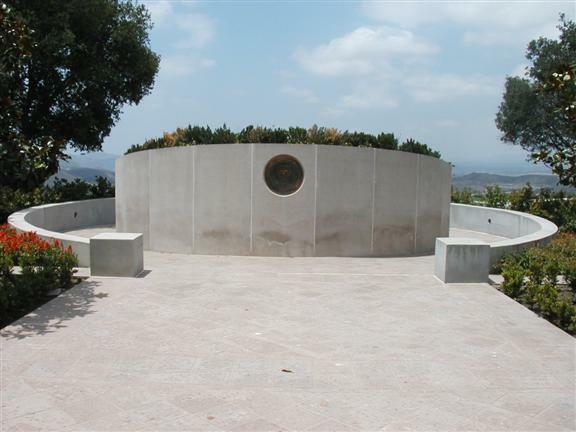 Joanne Drake, spokeswoman for Reagan, announced that she will be buried at the Ronald Reagan Presidential Library in Simi Valley, California, alongside where her late husband was interred in 2004.